Below you fill find all funeral homes and cemeteries in or near Anniston. Suburbs of Anniston: Blue Mountain, Fort Mc Clellan, Ft Mc Clellan, Ft McClellan. Anniston is also known as: Calhoun County / Anniston city. Their current mayor is Mayor Vaughn Stewart. Zip codes in the city: 36201, 36202, 36203, 36204, 36205, 36206, 36207, 36210. Anniston Memorial Funeral Home opened in March 2000 at the south end of Anniston Memorial Gardens. Anniston Memorial is proud to be the only funeral home and cemetery combination in Calhoun County. Some of the notable people born here have been: Michael Biehn (actor and film director), Larry Bowie (american football player), Andra Franklin (american football player), Eric Davis (american football player), John Reaves (american football player), Ken Hutcherson (american football player and pastor), and Jonathan Carter (american football player). 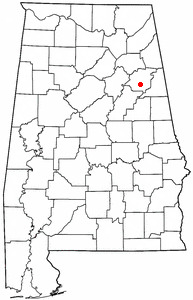 Anniston is a city in Calhoun County in the state of Alabama. As of the 2010 census, the population of the city was 23,106. According to the 2013 Census Estimates, the city had a population of 22,666. The city is the county seat of Calhoun County and one of two urban centers/principal cities of and included in the Anniston-Oxford Metropolitan Statistical Area.Named "The Model City" by Atlanta newspaperman Henry W. Grady for its careful planning in the late 19th century, the city is situated on the slope of Blue Mountain. It was written by Peoria Journal Star on December 8th, 2018 that Jerry C Connor passed away in Trivoli, Illinois. Connor was 66 years old and was born in Anniston, AL. Send flowers to express your sorrow and honor Jerry C's life. It was written by Charlotte Observer on November 29th, 2018 that Jane Campbell Lucas (Woodruff) perished in Charlotte, North Carolina. Ms. Lucas was 89 years old and was born in Anniston, AL. Send flowers to share your condolences and honor Jane Campbell's life. It was reported on September 30th, 2018 that Wilmer Patrick "Pat" Reaves perished in Florida. Reaves was 82 years old and was born in Anniston, AL. Send flowers to share your condolences and honor Wilmer Patrick "Pat"'s life. It was written by The Southwest Times on September 5th, 2018 that Wilma Jean Cosper died in Pulaski, Virginia. Cosper was 90 years old and was born in Anniston, AL. Send flowers to express your sorrow and honor Wilma Jean's life. It was revealed by The Times on September 2nd, 2018 that Thomas Eskridge Francis passed on in Gainesville, Georgia. Francis was 68 years old and was born in Anniston, AL. Send flowers to share your condolences and honor Thomas Eskridge's life. It was disclosed by Ann Arbor News on August 16th, 2018 that Mary H Wiley (Fornwalt) passed on in Belleville, Michigan. Ms. Wiley was 65 years old and was born in Anniston, AL. Send flowers to express your sympathy and honor Mary H's life. It was noted on July 28th, 2018 that Rosa Lavita Lindsey passed away in Anniston, Alabama. Lindsey was 92 years old. Send flowers to express your sorrow and honor Rosa Lavita's life. It was noted by Topeka Capital-Journal on April 25th, 2018 that Jeanette Louise Chase (Bowles) perished in Topeka, Kansas. Ms. Chase was 90 years old and was born in Anniston, AL. Send flowers to express your sympathy and honor Jeanette Louise's life. It was reported on March 18th, 2018 that Leon H Dr "Bud" Perley died in Punta Gorda, Florida. Perley was 86 years old and was born in Anniston, AL. Send flowers to express your sorrow and honor Leon H Dr "Bud"'s life. It was revealed by Statesville Landmark on March 16th, 2018 that Macy Starrette (Carter) died in Statesville, North Carolina. Ms. Starrette was 86 years old and was born in Anniston, AL. Send flowers to share your condolences and honor Macy's life. The Anniston Eastern Bypass is set to be revived with the signing of the 2009 Federal Stimulus Package. Though the roots of the town's economy were in Iron and steel and clay pipe, planners touted it as a health resort, and several hotels began operating. The Noble Institute, a school for girls, established in 1886, and the Alabama Presbyterian College for Men founded in 1905. As the northernmost edge of town, McClellan is hoped to become the star of Anniston's future. Daniel Tyler (1799-1882), rebuilt a furnace on a much larger scale, as well as a planned community. The official website for the city of Anniston is http://www.annistonal.gov. We work with local florists and flower shops to offer same day delivery. You will find budget sympathy flowers in Anniston here. Our funeral flowers are cheap in price but not in value.